The album showcases ten songs that include eight traditional hymns and two original tunes from Needham, which feature his unique musical style and makes this project not your ordinary "run of the mill" release. 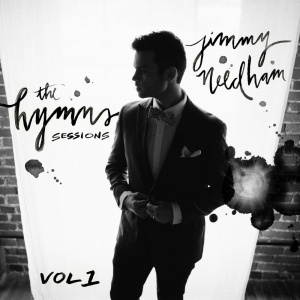 The Hymns Sessions - Vol. 1 is a new musical direction for these traditional hymns, while at the same time still embracing the powerful lyrics of our historically, rich faith. "With every record I release", Needham says, "my goal is to whet people's appetite for the God of the gospel. I think the answer to all of our deepest questions can be found at the foot of the cross of Jesus, so my art is always an attempt to take people by the hand to that place. "our historically, rich faith. Hymns Session Vol 1 CD by Jimmy Needham was published by Platinum Entertainment in May 2014 and is our 1360th best seller. The ISBN for Hymns Session Vol 1 CD is 799872395382. Be the first to review Hymns Session Vol 1 CD! Got a question? No problem! Just click here to ask us about Hymns Session Vol 1 CD. Now Playing: Here I Am To Worship Your browser does not support the audio element.